Here is a playlist guide to the 10 best songs released this week. Each week, the Pulse team puts together a round up of 10 of the best new songs recently released and essential for your playlist. 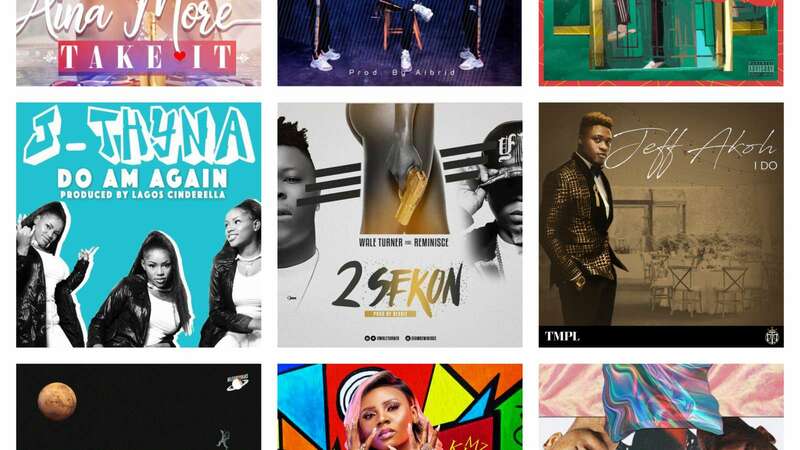 November has kicked off like a house on fire with plenty new music from established names like Simi, Runtown, Kizz Daniel and more. Amidst the multitude of releases, we have carefully highlighted 10 new songs you should also not be sleeping on at the moment. John NetworQ, also known as, the ‘Son of Merlin’ is back with the visuals for his critically acclaimed track ‘See Finish’. With the audio produced by TypeA and the video directed by Esiri, the video brings John NetworQ&apos;s, who recently got nominated for the South South Music Awards 2018, impressive storytelling to life, accurately depicting the realities of the Nigerian situation. The song is brilliantly delivered and paints a very relatable picture with every line. Now, the talented singer returns with a new single, ‘Like To Party’ featuring UK Rapper/Producer Skepta and DRB member Teezee. &apos;Like To Party&apos;, produced by Skepta is a pop tune that brilliantly infuses Afro and pop vibes, with the video shot in London. It is an interesting collaboration that sees the young indigenous artist hold his own alongside the veteran rapper. The song was produced by Rexxie. Following a brief hiatus from the music landscape, UK based artist Aina More is back with a brand new single titled ‘Take It’, taken from her forthcoming project, due to be released in early 2019. Speaking about the inspiration behind her new ‘Take It’ single, Aina More says, &apos;&apos;The song came about as I used to be really shy about taking what’s mine, standing in it and owning it. Temple Music singer and MTN Project Fame Alumni, Jeff Akoh comes through with a catchy love anthem entitled, ‘I Do’. The song is produced by Passport alongside Don Jazzy, and is the lead single of an exclusive wedding-themed EP project set to be released soon. According to the singer, the other two new jams include ‘Papa Oyoyo’ and ‘First Dance’ and we can&apos;t wait. The talented artist displays his singing side as he paints the story of his journey and things he has encountered on his path to success. &apos;Way&apos; produced by Aibrid is a mellow record delivered in Yoruba and one that shows the versatility of the indigenous rapper. The femcee who has shone a number of features this year is bringing something different from her regular sound for her fans, as she displays her multi skills and vocal prowess on this one produced by fast rising beat maker, Rexxie. MilesFromMars are out with their debut single, &apos;Asteriod Blues&apos; featuring Paula B. The Ibadan based RnB duo comprising of individual acts SoulBlackSheep and Bio employs swoony soft instrumentals and a mid tempo beat to create this enchanting sound that takes the listeners mind on a trip to their creative space. The duo hope to release more new music in the coming months ahead. The multi talented songwriter/sound engineer and producer writes from a faith perspective in this trap influenced record that serves to inspire her listeners as she declares that if God has done it before, he can ‘Do Am Again’. Budding Nigerian Afro-Dancehall artiste, Reil C a.k.a Tufa Ranking, is out with the visuals to his latest single &apos;Down&apos; ft Enkay. &apos;Down&apos; is a truly melodious tune which gives a beautiful vibe as the duo find their vocals synching seamlessly with the video of the second track on &apos;&apos;The Ghetto Youth EP&apos;&apos; shot in the Carribean Islands. This visuals was directed by Aaron Items.